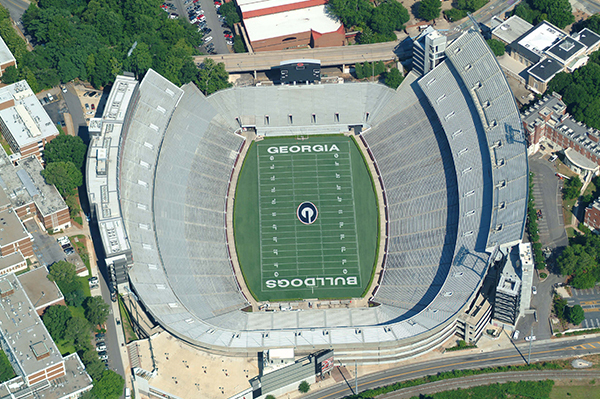 Aerial Photos Elite, LLC has provided the aerial photography of the Sanford Stadium in Athens, GA as well as other sites in the Athens, GA area. Aerial Photos Elite, LLC was awarded the contract to take the professional aerial photography of numerous bridges under construction in the Gainesville, GA area. Aerial Photos Elite, LLC was also contracted to take aerial photos of the Lanier Logistics facility in Buford, GA as well as the Morgan Memorial Hospital in Madison, GA.
and may not be used without express written permission.